I am Allan Donnelly, I am the owner of Don's Footwear, I operate and run a shoe factory of 10 Shoe Makers, My main job in the factory is to design and cut patterns for new styles and work planning, these past 2 years I have also been shoe lasts. 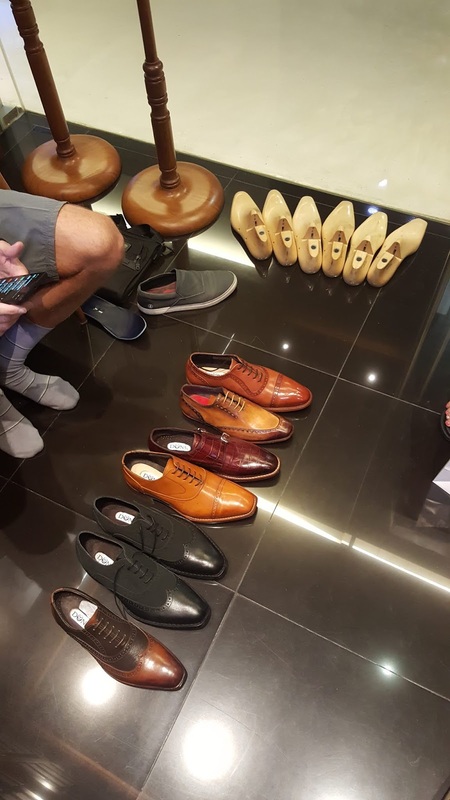 My Team is my wife and her assistant then we have 3 Upper makers ( Clickers), 5 lasting men and one talented finishing man that applied the creams and burnishes the shoes. We are one of the very few shoemakers in the world that still make Hand-Welted shoes. Its a very slow process. We also make full bespoke from time to time. 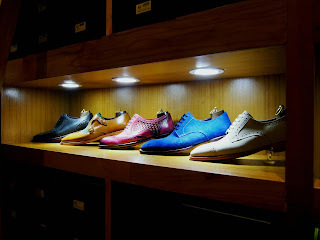 Online we are in our element as we are the world best at Height increasing shoes, known in the U.S.A as elevator shoes. Below you will see all our reviews from the last 2 years. I often gather these reviews and post to a page deep within the Don website but from time to time I like to share on the blog also. I received my shoes today and what an amazing job did you do. Beautiful shoes!! Thank you so much. Hope you are doing great. I don't know if you remember me, I have ordered couple hand made customized boots from you 7 years ago and I'm still using them. Amazing quality!! I love how is it cushioned and how it feels on the inside. You an artist and an amazing master. Got the shoes yesterday. I love the finish and fit . Mid sole tech makes it so comfortable to wear them. Thanks for making them and shipping them to India. They will perfectly compliment my outfit for the wedding. I have just taken the package from the customs. First impression - even better then the original pic from the web! Happy and successful new year for you and your family! I picked up my shoes this morning. They are absolutely beautiful. The fit is so comfortable and perfect, that I don’t want to take them off. My son really likes the boots. You do beautiful work, Don. I'm so very happy to have found you. I will be placing future orders without a doubt. They are a Christmas present for my son. He absolutely loved the pair you made for him a few years ago. Hi Allan, just wanted to write you to say that I absolutely love the shoes, they are essentially perfect. Thanks Allan , shoes arrived. They look great too.. I picked them up, excellent quality as always! I wish the best for your business. You the best Allan! Appreciate all the hard work and confidence your shoes have given me. I have 4 MST pairs and swear by them! Just a quick note to let you know that the dressy pair of shoes you made fit perfectly and I’ve worn them almost every day since I received them! Just a note to say thank you for making me such a fantastic pair of boots for my cousin's wedding last weekend. I received many compliments and let them know where they were made. My wife and I had a really fun time and the boots felt totally awesome. Thanks again for everything, I've decided that you are the only one I will be ordering my boots from, they are indeed the best. I look forward to one day meeting you at a trunk show the next time you come to California. Good luck with your upcoming travels .. wishing you all the best! Allan, these are absolutely beautiful shoes. I received my grey and white Ralph shoes today. They are amazing. The fit is wonderful and they are comfortable. Definitely a shoe to be worn without socks and with shorts. The height is so concealed there is no way anyone could ever tell you are taller. I just love them. You are a master. My spencer arrived yesterday. Absolutely amazing. Love them. Wore them all day so comfortable. What a wonderful surprise. My beach loafers arrived ! I didn’t realize that you had sent them so it made my day. They are so much nicer than the picture. You truly are a master of your trade. They fit perfectly and are so comfortable. Hi Allan ....shoes are gorgeous....thank you very much!!!!!! The BEPPE specifically that I bought from you has gotten a ton of compliments the first time I wore them to the office! I wish we can leave reviews! I've bought two shoes from you and I've loved both of them. I have gotten many compliments on them too! I am definitely going to be a regular customer. I am actually already eyeing a bunch of other shoes that I plan on buying down the road. You really are a true genius. They fit well and are so comfortable. Such a good looking shoe. I appreciate your workmanship. I am going to order my 4th pair now. Received shoes. They are beautiful. As always, I appreciate your work! I just received my blue shoes. I am very happy with it and it the best shoes i have bought. Good job and well done. Its very light and pointy toe and 5 inch height are best combination ever and quality is super !!!!! Thank you for the excellent job done on order 310786. Thanks so much Don! The shoes are fantastic. Amazing quality, perfect fit. Dear Don, I have been wearing my new shoes for over a month and I am a very satisfied customer. Thank you and those who work for you. I got my shoes yesterday, I love it! thank you for the fine work. You my good man are LEGEND !!!!! The shoes just arrived mate !!!!! Thank you so much I absolutely love them, they look and fit fantastic! I look forward to ordering some more shoes/trainers in the near future. Shoes arrived while I was at work today, and I have to say I seriously impressed. These shoes are everything I was hoping for and then some. Very comfortable even right from first putting them on, and once they are broken in I’m sure they will be even better. Thank you again for all your help and time on these. And I do look forward to ordering another pair from you in the near future. I have a problem, I cannot take your shoes off! I have own gucci and valentino boots and I probably will never wear them again. Hey, I just received my new shoes and I love them - you do great work!! the shoes are arrived and are beautifull. The shoes are amazing!! They fit well and are made incredibly! Thank you so much!! You are a great shoe maker!!! No problem. Thank you, Don! I hear you’re a great shoe maker. I look forward to wearing them! Don love your excellent hulk boots ill be buying another pair soon. the best pair of shoes ever. Thank you so much. The shoes are very nice. My husband has worn elevator shoes all his life and the quality has gone down so that we decided to try yours. even though they are more expensive and we were taking a chance on the sizing. Much appreciated. I received my boots on Monday and today is the first chance I've had to weak them out. They are fantastic!! They fit perfectly and are so comfortable. Plus I can't believe how many complements I've gotten on them... some complements from complete strangers. I am very pleased with the boots and I will definitely recommend you to my friends and family. This is the first pair I've ordered from you but definitely not the last. By the way, you have earned a loyal customer. I will go to you for all of my shoes before looking elsewhere. The quality is amazing and the height increase works well in the professional environment!! I just wanted to inform you that my shoes have arrived. I also wanted to say that I am more than satisfied with the shoes you made! The quality of your work and attention to detail is outstanding! You are truly a master at what you do and hope you that you continue making shoes for many years to come! I look forward to ordering more shoes from you in the future! After wearing the shoes out in the world I could not be happier! The popping sound completely stopped. I'd like to purchase another pair or two. Would you be able to provide me with a discount code again? Thanks! I received  shoes this morning . I will buy new ones in the near future. No worries. I received the shoes today. Very nice and especially comfortable. They are exactly like I wanted them ! Thanks to pay attention to my wishes. I ordered a pair of Munoz boots from you back in December. They arrived, fit really well, and I have greatly enjoyed them - very nice work. Yeah, they are beautiful shoes... well done my friend. I look forward to receiving those American Football 01s. You have quite the talent. 1st MArch 2018Allan: Received my boots. Perfect. Thanks for all your service. I've absolutely loved the Winnepeg Winters. They've stood up well in rain, sleet, and snow! The Mayfairers are also amazing. A huge design improvement over some of the other formal shoes I've bought. Bravo! 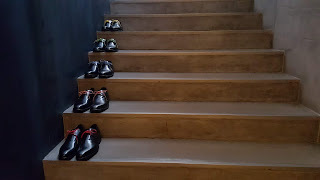 I got the shoes today and they are very beautiful and design, and most importantly of all they are very comfortable to wear. Hey Don hope all is good in the new year. My shoes are holding up great. Everytime I wear them I get compliments. Every single time! I plan to order the exact pair again but in all black. I'll be doing it through your site soon. Thanks again for your hard work & attention to detail. Allan: Perfect. Thank you so much for your excellent workmanship and service. I remain a long an continuing customer. Hey thanks Allan. I have received the shipment and the shoes are amazing! Thank-you for the great service. I wear my shoes now for two days, and they are awesome! The look is great and the comfort is very high. I missed you when u came to London. Thanks Allan! I received my shoes today! They are great! Thanks for an excellent job! I received the shoes! Thx a lot what an amazing piece! Keep up the good work! I will soon be reordering one ! I got the last pair of shoes. Again lovely craftsmanship! Regardless of the delay, as i already sent you, the shoes are just amazing. As for now, i hope this order won't time like my first order. Got the shoes a few days ago, love them! Absolutely beautiful and will order again in the future. Thanks. I received my shoes and WOW!!! The fit was spot on. The Midsole was loose and clicked for a while, then stopped after I walked around in them a while. The lift was nice and even , it felt natural when walking around. Thank you for creating a great shoe company, with quality and customer service. I received the order and love the shoes! The blue ones are absolutely epic and have received numerous compliments at work. I just received the boots...and I wanted to write you immediately. These are the most beautifully crafted, comfortable boots I have ever worn in my life. Not only have they raised my height without the horrible, unbearable arched heal that comes with every other height increasing boot/insole I’ve ever bought, but they are also stunningly beautiful. I will be placing MULTIPLE orders, and will probably never buy a pair of shoes or boots from anywhere else, ever again. You crafted for me an absolutely handsome pair of shoes, beautiful. The leather is just the right texture with it's own character and with the reddish hue - wow. Soles are excellent providing some give and the MST is an engineering marvel. I just got these in today. Amazing work, I love them. Great fit and look! 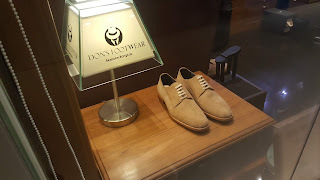 Love the Don's shoes! You’re a genius. Thank you so much for such perfect shoes . Literally couldn’t walk properly without you. Your craftsmanship, everything, is simply stunning. 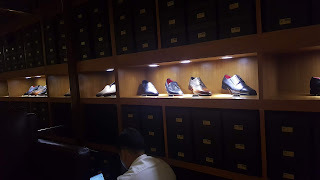 I received my Bergamo elevator shoes yesterday and I must say...I am a satisfied customer. I won't lie...it took a while to get here and I was a little nervous, but it was worth the wait. Like my grandma always told me anything worth doing is worth doing well and I believe these shoes were well done. I got my shoes and it is really nice. I like a lot. It has very high quality. I received my shoes yesterday and they are wonderful! They are very well made and very comfortable I love them! Again, I am very impressed with the quality of your shoes! So happy to have found your website and I look forward to your reply so I can order more. Got my shoes and i just wanted to let you know they are OUTSTANDING and i love them. You can be assured i will defiantly be ordering from you again. Again Bravo! Shoes arrived---many thanks! They look good, but take a bit of getting used to in terms of wearing them..They should fill the bill nicely though. Thank you Allan. You make incredible shoes. My mcviker midsole are incredibly comfortable. Look forward to buying more in the future. I just wanted to let you know that my shoes arrived today. Thank you for your wonderful work - they're great. Just wanted to say I got the shoes and they're amazing. Thanks again. I'll be ordering again very soon. Just received the shoes. Wow!!! they are great. Beautiful job and the fit are right on. Many, many thanks. You are the man as we say in Canada. It’s a pleasure dealing with you. Have a great day and do take care, we will be dealing again real soon. I have just received my shoes today, and I want to thank you for the amazing work, I LOVED it! Amazing quality, superb finishing and craftsmanship, and it is exactly what I was after. 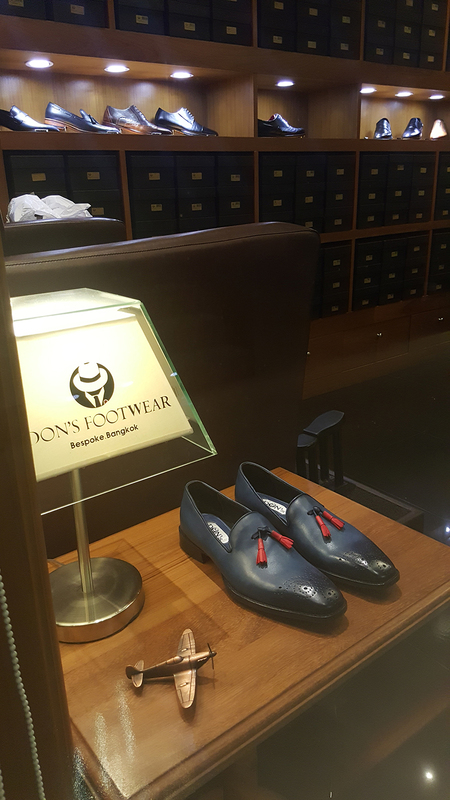 It is very rare nowadays to have a product with such a high quality, reminds me of the days when shoes were made to last for a decade! I look forward to buying more and more in the near future! These two turned up today, thanks for that. Both are perfect, even better than the previous pair. The boots are amazing. Thank you for doing such a quality job and getting them to me in a timely fashion. You're truly great at what you do. If I ever want another pair I'll be sure to order from you again. I got the shoes I ordered. I can't thank you enough, the look, the quality, and how you listened to my comments about creating extra space for my orthotics. Also you added a few tricks to make sure the heel blended in with the rest of the shoes to make it less obvious. It's really great that there are people like you that help people like this. I'm definitely ordering another pair as soon as I get my next paycheck. I got my first set of shoes... I love them! Amazing Allen. You need to do a Philadelphia show! Shoes are out of this world. I received my shoes today - they're awesome!! I hope to order some more very soon. I now need a pair of dress shoes for church. Thank you, I have received it! It was delivered within a couple days. I thank you for being very quick. The shoes are everything my partner had asked for. He loved them. We will be repeat customers. Thank you so much again! Today I got my first pair of boots from Don's, and I'm super excited! Boots fit like a glove, look smart with slight burnish look, and I'm a serious fan now!! :DI look forward to getting my second pair in order soon. **Please make these exactly same way with [studded soles]. p.s. When is your New York Trunk Show? I want to book a time to meet. Hi Allan. My boots arrived. I am very pleased. Excellent job. I received the shoes and they look great. Thank you so much again. I will be ordering some more pairs in the near future. Keep up the great work! 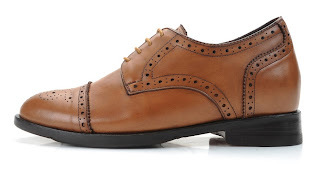 Hello Allan, I just received my Bergamo 2 shoes and they are magnificent. I’ll be ordering a regular pair of Bergamo in brown. Just received the shoes yesterday and I absolutely love them. MST is amazing and provides great support and the looks of the shoes are very attractive. I would definitely like to order more shoes from you in the future. Amazing u did it again. The last pair is amazing. They arrived, and I must say... I'm very impressed. They fit well and the quality is second to none. Thank you don. Received the shoes. Great all around, really comfortable, feels a bit unnatural walking in them but I guess it will take some breaking in and getting familiar with. Looks fine as hell. Thanks. 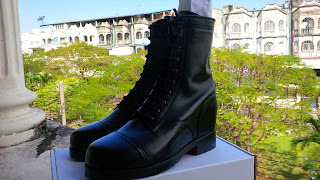 I recieved my boots today morning they're great. Thanks. Will order some more shoes soon. I have worn the shoes on several occasions and I absolutely love them. They stretched out quickly and now fit perfectly. I have never enjoyed an apparel product as much as I have yours! I can't thank you enough. Received the shoes . Very Happy thank you. Thanks very much - arrived this morning. Excellent. I'm very happy with the shoes. Just letting you know my boots arrived safely; they fit perfectly and are wearing in nicely. I would certainly recommend your products to anyone who appreciates workmanship of this standard. Suffice it to say that when it comes to my next pair of shoes or boots - I'll be back. Received the shoes yesterday, and love them! The craftsmanship is beautiful and i love the weight. I feel like I own a secret weapon now. Both pair returned from the stretcher and both fit perfectly. The shoe repair shop is in Studio City, California. The owner works with a lot of high end shoes. He said these are very high quality. Alan, I just got my boots and I LOVE them!! I’m going to buy a ton more. The construction and feel is excellent. The shoes arrived this weekend. They are both beautiful! Very well made with gorgeous leather. Alan, I just got my boots and I LOVE them!! I’m going to buy a ton more. The construction and feel is excellent. I wear boots nearly every day and am concerned that wearing the same style will get a bit old. I just wanted to let you know that I received my order. 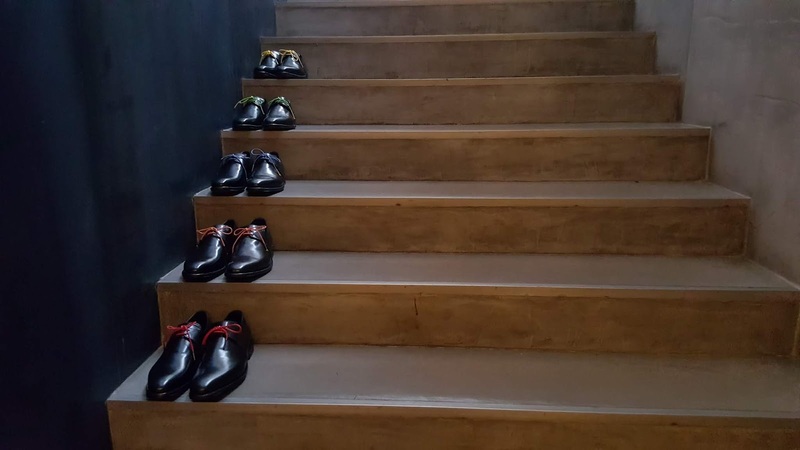 The shoes are works of art! The fit was great too. I just put in another order for 2 more pairs. Thanks for the great work on the first pair. Have received the shoes - they're great. Apart from the excellent craftsmanship and quality, the midsole tech is brilliant. They are so much more comfortable than my other elevator shoes - and feel more stable - I thought for a moment that you'd forgotten they were elevator shoes and had to double check and measure myself. Have taken a walk down the street and am very impressed by the comfort and stability - I don't feel as if I'm leaning forward as I did in the other shoes. I've just ordered another pair in the Botticelli. I've ordered a 10 rather than a 10.5 as the pair I've just received are slightly big for me, but will wear them with inserts, that should make them more snug. Thanks again for the quality, comfort and the speed of delivery. Got them today Allan. Worth the wait! 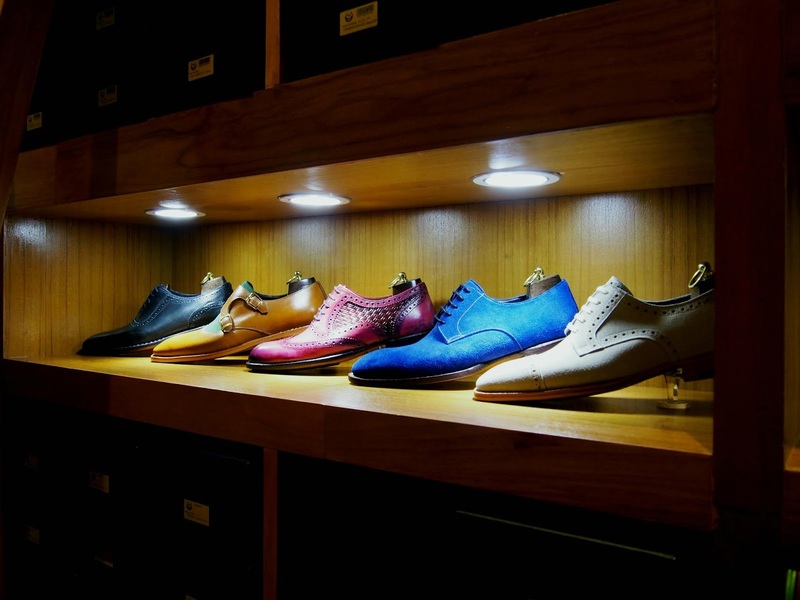 I will be ordering a dress shoe from you in the near future.. I am happy to tell that we fixed the shoes so he can wear them without any problem. You got a lot of compliment for your work as well! I just want to know that have all the shoes that I ordered from you and they are...SPECTACULAR! The craftsmanship, your work, and materials are just amazing. Thank you very much for making these great shoes. The quality and the color is unbelievable. The shoe that I told to that felt tight, has stretched and is now perfect. I promise that I will order more, perhaps as soon as your next sale, so when that happens please let me know. Again, I am so proud of these shoes. The purpose of this email is to let you know that I love my new handmade shoes. They are comfortable, unnoticeable and look great with just about any outfit. Thank you for keeping me updated through out the time and look forward to doing business with you again. The shoes are great...Thank you ! I will be buying again. I hope you have repeat buyer discount. FYI received the second pair today!!! Sorry to bust your chops matey, appreciate your patience and great service, also bloody amazing shoes!! I received my 2 pairs of shoes. As the first pairs purchased, I am very very satisfied. See you soon for new purchases. Just want to say thank you. My nephew loved the shoes you made for him. He wore them his whole wedding day and said that they were really very comfortable. The added height definitely helped him look eye to eye with his bride. I just got the shoes today and its great. Thank you a lot, sincerely. Received my shoes today, and they are really comfortable. Really love them. BTW- My about 5 year old brown pair of these, which were resoled locally, are still going strong. As you know, I've been ordering from you since 2012 and have a closet FULL of your amazing shoes. In fact, I just ordered 2 more pairs a couple of days ago. The midsole tech is so incredible and I'm so grateful you created that; now no one knows! Can't wait to get the new shoes. Sadly it's time to retire a couple of old pairs bought from your good self. For your reference I've managed 4 and 2 years out of them- with one resole. And given I'm a junior doctor and walk 10-12,000 steps a day I think that's pretty dam good! Greetings!! to you Don. I just wanted to update and thank you for the shoes I got from the mail it has been almost a month now since I started to wear them. love the leather finally broke them in. Just now placed my 5th shoe order in a span of 45 days. Love the shoes, very comfortable and well made. I can't wait to receive my 4th and 5th pair. I received the shoes yesterday. I have them now, and they are great! Fabulous boots and the best yet from you I think! I’m breaking them in right now. The quality of your workmanship is second to none! Look forward to meeting you and ordering more Cuban heeled Chelsea boots . My two pair I received from you are my favorite ever. I got both pairs of the Workman the black n the brown ... n I absolutely love them!! The fit the style n the comfort !! As soon as u send the black D'ETNA ... I'm ready to order two more pair of ur amazing shoes !!! Allan they are truly remarkable! Just received my new double monk shoes and they are BRILLIANT! They fit beautifully and are the envy of everyone in my office. Even better than I’d envisaged. The shoes arrived on Saturday. .Wow ....I luv them.. Great work..Everyone is giving me compliments on how sweet they look.. Great work.. Imy going to order something else this week.. The great thing about these MST Monsters is they have a nice, soft clinking sound when you walk with them... like you're Clint Eastwood headed for a gunfight in The Good, The Bad & The Ugly. Just an added bonus, courtesy of Dons Footwear. My shoes arrived yesterday and I could not be more pleased. The quality and and construction appear to be superb. This is my first time with height increasing shoes and the midsole technology appears to make that aspect seamless. I really love the leather and stitching...everything about the overall product. Your service from the time of order to delivery was also excellent. If these shoes wear as well as they look you may not hear from me for awhile but you have definitely acquired a customer for life. Thank you so much!! I've just received them (last night). Thank you, they look great and they fit! Love, LOVE both pairs of MST Monsters I got in the red & black!!!! The mini inserts are incredibly HIGH QUALITY. Feels like I'm wearing works of art on my feet.